The third annual bike rally by Girls at Dhabas started off on Sunday. The rally is an initiative aimed at collectively asserting a woman’s right to navigate and hence reclaim public spaces on her terms. 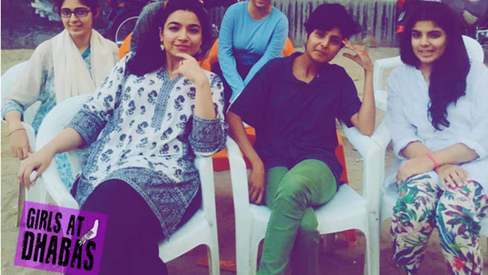 The event encourages women in Lahore, Karachi and Islamabad to challenge the dominant mindset that it is inappropriate for a woman to exercise her freedom of mobility. 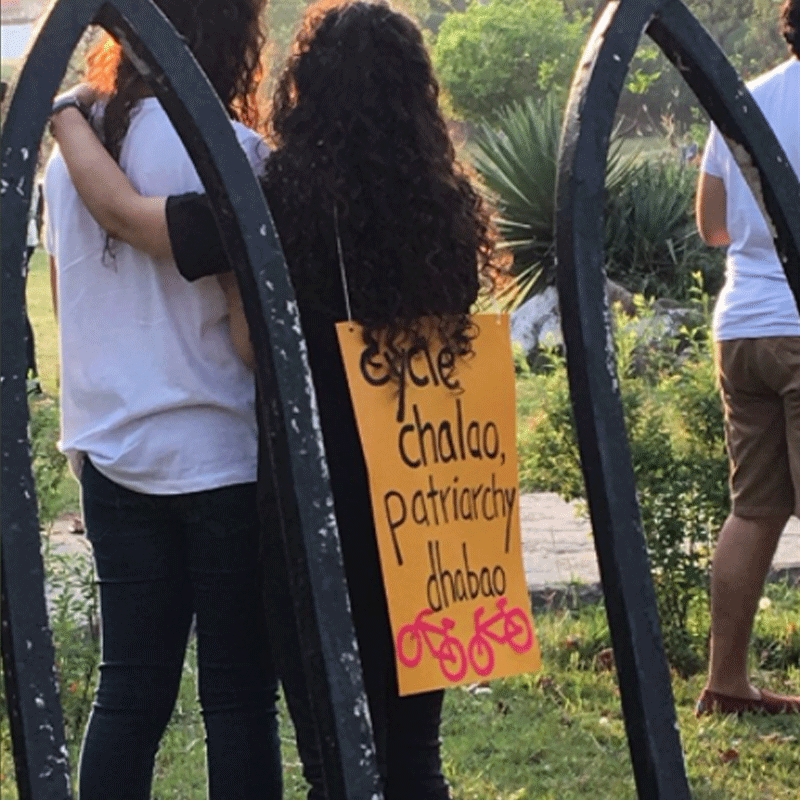 The rally was first started two years ago in solidarity with Aneeqa Ali, a cyclist in Lahore who was harassed and injured for riding her bike. The event triggered debate and condemnation for the misogynistic and sexist comments and actions of those who had harassed her and the idea that women should use cycling to empower themselves became intriguing and urgent. 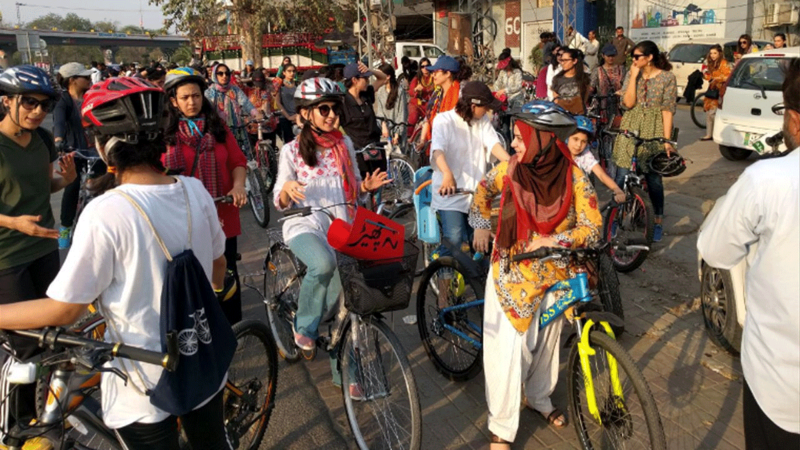 The positive response to the rally led to women cyclist chapters to be formed in Lahore, Karachi and Islamabad simultaneously. 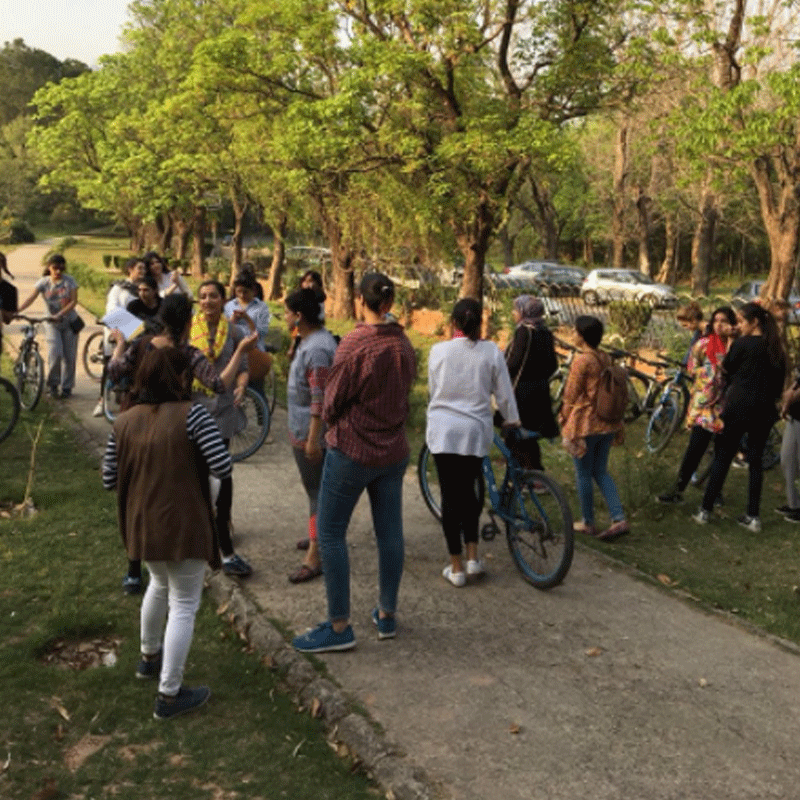 The Islamabad chapter is led by Meharbano Raja in collaboration with CYKIQ, a Nust student start up which provided bicycles for rent. The 1.5 hour bicycle ride started from Attaturk Avenue in the evening and went down main Margalla Road, the F-6 Markaz and then to the starting point again. The rally consisted of about 30 or 40 women of all age groups, nationalities and with varying cycling skills. “Today, we are here to support one another in promoting women empowerment, recognition and inclusion in society. We are here to motivate one another through support,” said a participant of the rally, Sana. Several other women participating in the rally said the issue of street harassment that women face is seldom given importance. “People often dismiss it by referring to catcalling in a funny way or for it to be taken as flattery or worse, when the woman is blamed for the harassment she endures,” another cyclist said. “The Girls at Dhabas movement was established in order to encourage women to repossess accessibility of streets and dhabas and other public places they are not ‘meant to go’. 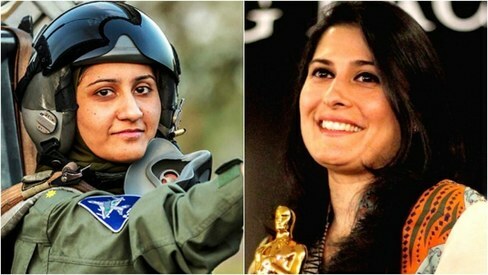 It has received great response for its rallies,” Ms Raja said. A good idea but it should be promoted as an anti-patriarchy movement. Just a question are we not replacing 'women have no place in public places' with ' men have no place in our rallies'. Is this movement for equality or replacing patriarchy with matriarchy. Well done sisters, keep it up. It was a good idea. They feel like human beings now. Well done. But isn't it segregation!? We are with you. Keep it up. Few men can't suppress you brave ladies.